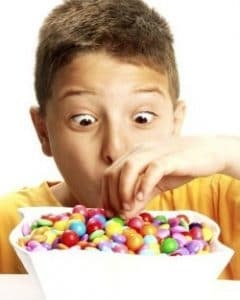 You have all heard about the damage that sugar and certain “sticky” candies can do to your teeth and your braces when undergoing orthodontic treatment. Well, our Team at Porter Orthodontics wants to remind all of our patients and future patients about the dangers one more time. We know Halloween is supposed to be a fun time of year for kids of all ages… but it can turn into a “nightmare” of damaged braces for kids and parents if the wrong types of treats are consumed. Not only the discomfort involved as a result of broken wires and brackets but also the inconvenience of coming office for an extra visit with your busy school and/or work schedules. Here at Porter Orthodontics, we love Halloween but we also have a responsibility to increase the awareness of potential damage certain candies can cause if patients are not careful about which treats to eat. Click here to download a Do’s and Don’ts Treat List offered by the American Association of Orthodontists. As a reminder, print it off and post in on your refrigerator for all to see.